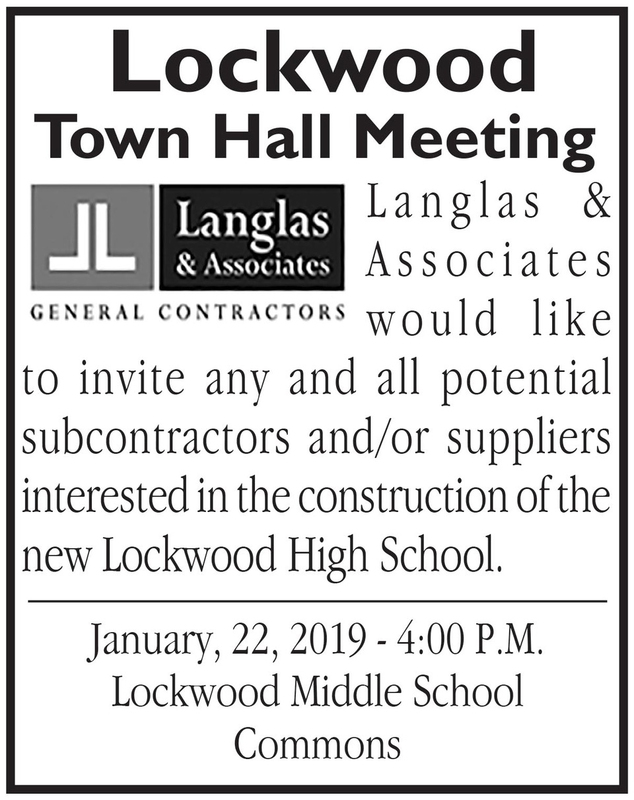 Langlas and Associates in Billings announced a Lockwood Town Hall Meeting in regards to hoping to attract contractors for the Lockwood School. Here is an announcement that was put in the Yellowstone County News. Please pass on the word.